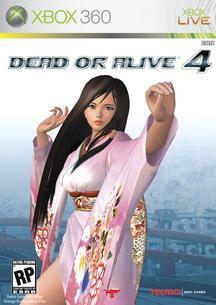 Redefining 3-D High-Definition Graphics: Utilizing the advanced technology of Xbox 360 and Team Ninja’s development expertise, Dead or Alive 4 will redefine 3-D graphics creating the most visually stunning video game to date! New Interactive Stages: Incredible new interactive stages showcasing the incredible 3-D graphics and astounding attention to detail from each strand of the character’s hair to each cherry blossom falling from the sky. In our many years online, we've had 5,122,939 sets of human and robot eyes examine our website.